Specialising in breathing life back into historical buildings – combining tradition and quality with modern technology and design – to create a very special living experience for the twenty first century. For those who don’t know, Newmason Properties was co-founded by Alec Newsham and Andrew Mason in the autumn of 2002. Through a friendship founded over the sale of a horse, Alec and Andrew have created an innovative property development company that is going from strength to strength. Newmason has a highly focused team with a wealth of design and construction experience and specialises in breathing life back into historical buildings. They are based in Bradford and are extremely proud to be participating in the regeneration of this once wealthy and powerful 19th Century city. 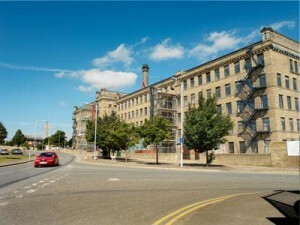 The beautiful buildings and mills built over the last couple of centuries are a legacy to the area and will be an important part of Bradford’s future development as a vibrant city of culture and modern living. They have carried this reputation through to their second project at Victoria Mills. 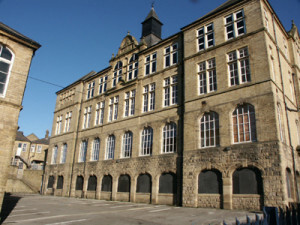 The mill conversion, which has created over 300 stylish apartments in landscaped gardens, created a unique development, the like of which has never been seen in the Bradford area. The idylic setting of the site, contains, a tennis court, a gym, concierge services and riverside seating, helping to create a tranquil and unique atmosphere from which all residents can benefit. Overseas all aspects of the company to ensure it is running efficiently. Responsible for key strategic decisions and working alongside those in sales and marketing. Plans and procures all resources for projects, coordinating the design team, architects, engineers and main contractors. Responsible for health & safety and working closely with the project team. Responsible for dealing with all enquiries and bookings relating to the serviced apartments at Victoria Mills.